Las Vegas home prices are growing fastest among major markets, topping long-reigning leader Seattle — but there are signs locally and nationally of a cooldown. 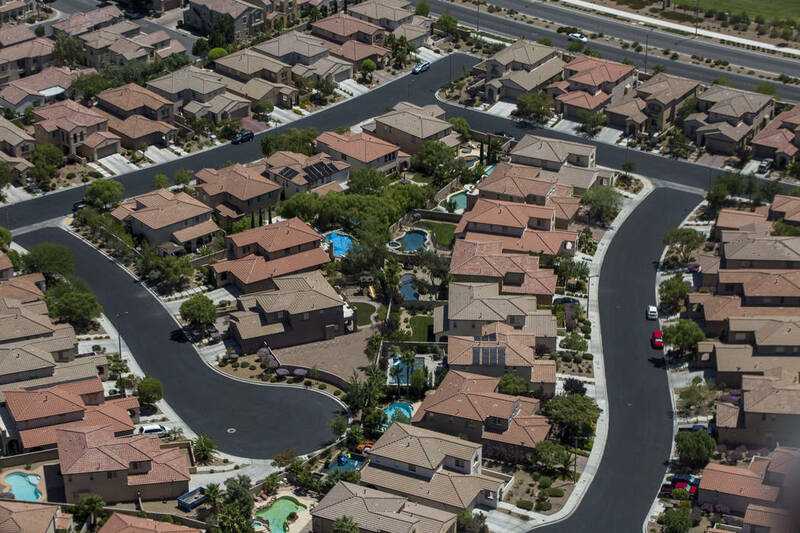 Southern Nevada home prices rose 13 percent in June from a year earlier, compared with a 6.2 percent rise nationally, according to the S&P CoreLogic Case-Shiller index released Tuesday. Las Vegas’ growth rate led the 20 markets listed in the report, followed by Seattle at 12.8 percent and San Francisco at 10.7 percent. According to Blitzer, sales of new and existing homes are “roughly flat over the last six months” amid reports of increased inventory in some markets. Las Vegas’ housing market accelerated over the past year or so amid low availability and strong demand, but it’s among those showing signs of a pullback. Price growth has cooled down, sales have slowed, and the industry’s biggest trade group in town dialed back expectations that prices would reach their pre-recession peak this year. Locally, the median sales price of previously owned single-family homes in July was $290,000, up 11.5 percent from a year earlier. By comparison, the median price was up 12.7 percent year-over- year in June and 18 percent in May, according to the Greater Las Vegas Association of Realtors. Around 4,800 houses were on the market without offers at the end of July, down about 4 percent from a year earlier. But as recently as January, inventory had shrunk by 36.5 percent, the GLVAR reported.